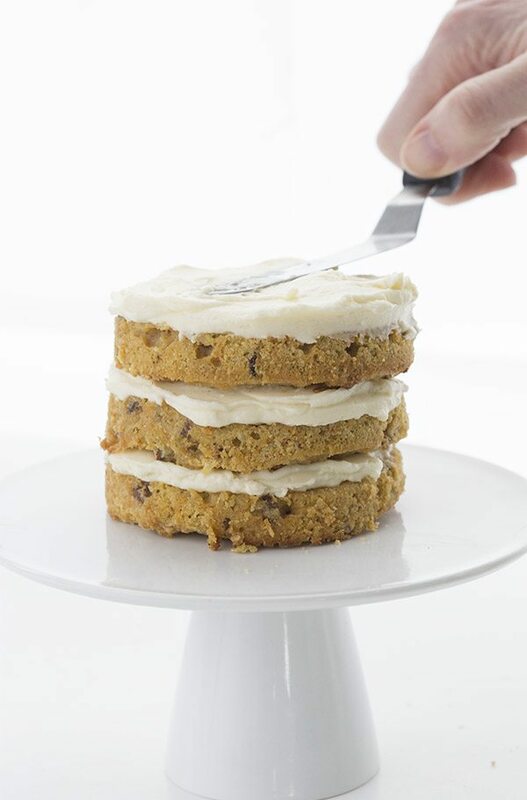 The best low carb carrot cake recipe now comes in miniature! Just in time for your healthy sugar-free Easter celebrations. So I had a rather strange interaction on Facebook the other day, and it really got me thinking. Someone was upset with me for posting my low carb skillet cookie on The Low Carb Keto Diet Page, because they don’t feel that this diet should include sweets. I explained my philosophy, if you will, that low carb indulgences help me stick to my healthy diet but that everyone needs to do what is right for them. This did not help, apparently, and I was suddenly being accused of hiding behind a fake persona, being paid by large corporations to promote artificial sweeteners. It got very strange very quickly, with many of my wonderful readers jumping in to my defense, and me doing my best to explain. This individual was having none of it and I ended up deleting the thread in order to defuse the situation. But it really got me thinking, because I like to be as upfront as possible. I don’t hide behind a fake persona and I certainly don’t use artificial sweeteners. I do have a number of brands I work with, and I do my utmost to disclose my relationships very clearly. I am not trying to hide anything; I do actually make money from this blog. Recipe development isn’t cheap, my friends, and turning it into a thriving business has allowed me to do what I love and help support my family. 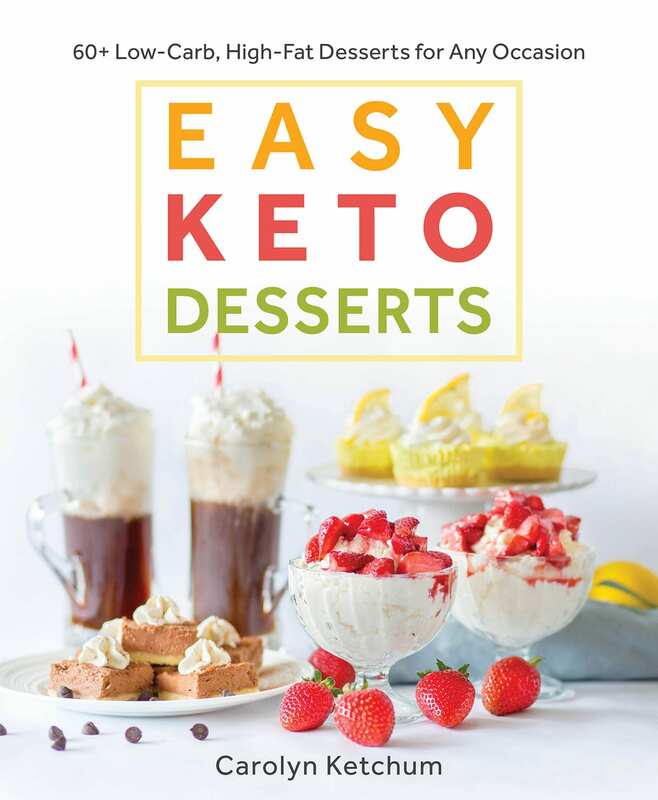 It also allows me to continue to provide solid low carb and keto recipes to my readers free of charge. I see that as a win-win. Swerve Sweetener is one of my brand relationships, and it’s one I cherish very much, because it developed organically out of mutual admiration and respect. I like to say we “grew up together”. Back when I was a wee blogger making a few measly cents and Swerve was a wee sweetener company trying to make a name for itself, we somehow connected over Twitter. They sent me some samples and it was an instant hit for me. 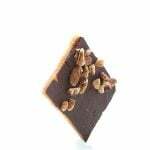 It was the one erythritol-based sweetener that did not give me the cooling mouth sensation and it provided the right sweetness and the right consistency for my baked goodes. I liked it so much that I started telling everyone about it and I became something of an unofficial (and unpaid) spokesperson. My blog and Swerve seemed to take off at the same time, both of them becoming great resources for the low carb community. So when Swerve found itself in a position to pay for recipe development, I was their first choice. It’s a small operation, and they are wonderful people doing wonderful work. And it’s delightful to me that they think my work is wonderful too. It’s just as a true brand partnership should be. So yes, Swerve does pay me for several recipes per month, one of which gets a “teaser” post here to direct you to the recipe that lives on their site. But when I recommend it to people as the best low carb sugar replacement on the market, that isn’t money talking. That’s me, my true feelings. No hiding, no faking. Nothing artificial here. 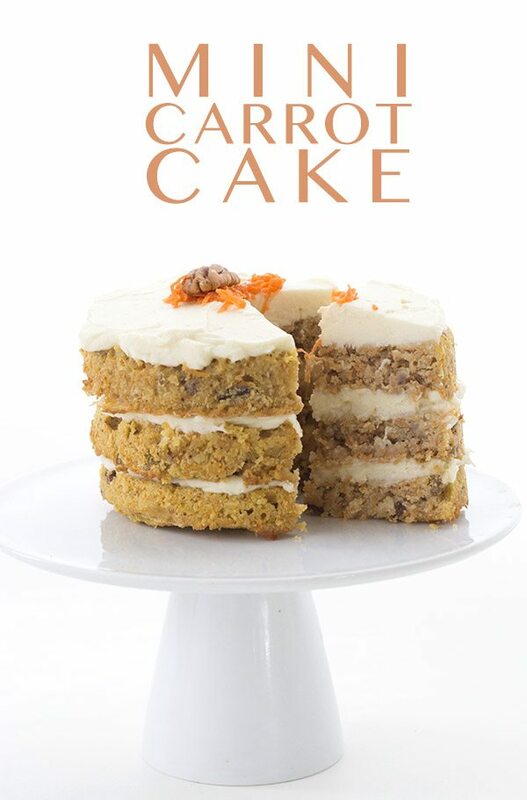 And now, just in time for Easter…for all you low carb carrot cake lovers! And check out my blog post HERE. We dabble with low carb and are always taking steps to move more fully into this way of eating. We made the skillet chocolate chip cookie and I consider it a huge “win”, as our kids loved it. 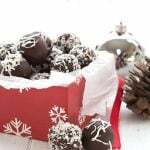 Sweets and treats are one of our last frontiers to conquer for low carb living, so thank you for posting that. Our children have a better, healthier treat option. Looking forward to trying the carrot cake next! I, too, use Swerve and love your recipes that contain it, but the cost of this sweetener has become almost too high to continue using, almost doubling from some distributors. Also, the bag weight has gone from 16 ounces to 12 ounces. I’m highly disappointed as Swerve has become a staple in my low carb lifestyle but I will be shopping for a more affordable sweetener. Hi Sue. The bag did indeed to go 12 ounces but the price is supposed to be lower along with it. Typically $8.99 instead of 11.99. Sounds to me like some distributers are gouging you! Where are you getting it? I would reach out to the folks at Swerve directly to let them know this. They wouldn’t be happy about it. I get it on Vitacost for like $6. I found it from Horrocks Market for $7.89? Not sure about the cents, could have been .69 or whatever. I live in Michigan and I don’t know what you might have in your area. But maybe if you check it out online. Some stores don’t even carry the granular, and Amazon just kept backordering for about 3 months – so I started checking out more avenues, and hurray! found Horrock’s Market in Lansing. Ha ha ha I was just at Horrock’s in Grand Rapids and noticed the Splenda size had gone down. And yes the price was 7 something… but Horrocks can be a little pricy on some items, which is what I assumed was happening here. Gonna have to see what Meijer is charging. I love that you make money doing this blog. Because here I am using your recipes and blessing your name while I do. You should make money! Just this week I made your Swerve sweetened condensed milk, added butter and shredded dried coconut. It makes the BEST ‘mounds’ filling ever. Lilly’s chocolate for dipping. Hope they pay you too. Sounds like your filling, minus the coconut, would be like a buttercream egg, one of my favorite things in the world. How much butter did you add to the recipe? the flavor added to these coconut candies using the sweetened condensed milk. There is a recipe for condensed milk? Where do I find this? Your blogs are my lifesaver For health reasons I must eat low carb, sugar free, low sodium and cholesterol as well as low fat. I take your recipes and tweak them to reduce fat and sodium and I am once again satisfied I have control over my health. Look under vanilla ice cream, or in search. I never have fresh milk in the house so I make it with silk coconut/almond milk and cream. Canned milk might work well too. The sweetened condensed milk with Swerve is addicting. Careful Jan, you’ll want to eat it all right off the stove! You led me to discover Swerve, and now it is the only sweetener I use. Thank you, and thanks for all your amazing recipes! Carolyn, I notice you use 3-4 small ramekins. You also mention using 2 small ramekins and having only a double layer cake. Can you use one 8″ cake round and have a single layer cake? Will measurements be about the same? For an 8 inch cake pan, I think you’re going to need do double the cake layer. It comes out really thin in the ramekins, which is perfect for a mini cake but might be too thin for an 8 inch cake. We can’t even buy Swerve here in the Netherlands, so I couldn’t feel duped one way or the other. However, I do not think you should have to explain yourself like this, we all know that this blog takes up considerable time and effort and it’s only right that you should be compensated in some way. How better than just telling the truth? Promotion or not, we your readers are eternaly grateful for all you do. Besides, we are realy competent to make up our own mind about what we buy. I wouldn’t worry too much about that attack, some people just need to bite into something and feel important when they get a reaction. Some are also just a penny short of a pound and I’m just grateful most of us are not like them and have better things to do than troll the internet. I agree wholeheartedly. Carolyn, you provide a tremendous gift to those of us who are trying to live a healthier lifestyle, and bless you for that, and all of the wonderful recipes given to us for free. THANK YOU! Thanks, Guinan! And one of the things I always try to do is help readers figure out how to use whatever sweetener they prefer. I don’t expect us all to have the same preferences. I love this. Yes Carolyn you are SO appreciated and a true pioneer. I refer your blog ALL THE TIME. Keep up the great work! My favorite sweetener is Trim Healthy Mama’s Gentle Sweet as my hubs has headache with swerve or plain stevia. Somehow he tolerates the combo in Gentle Sweet well. And it’s no fun to bake things he can’t eat so I order it in and have it on hand. It does give a really nice taste to chocolate. You’re right, we have come a long way and I too am happy for all the sugar-free choices! Carrot cake is my FAVORITE sweet treat. Thank you for developing your wonderful recipes. I tell everyone I know that is “low carbing” or interested in changing their diet about your website. AND anyone that has been eating this way (baking in particular) knows that it is by no means inexpensive. 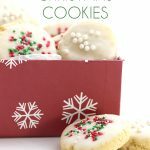 I am happy to have found your site and am thankful for your affiliations which allow you to contribute to a lifestyle that would be hard to adhere to for those of us that “need” our sweet treats. Thanks, Kim. I truly appreciate it. I love that you’re doing some small desserts. I’m the only low carber in my family. I can’t eat all of a regular sized dessert by myself before it spoils or I get bored with it. So, it’s great to have scaled down recipes that work well for one person. And I’m grateful that you use Swerve. It’s the only sugar replacement I use because it’s the only one without an aftertaste. I usually add a touch more stevia than they include in t heir mix because it still has a bit of that cooling thing for me. And I agree completely with your philosophy. I got into that same argument with someone who insisted that my low carb diet was unhealthy and I must do this diet plan full of “healthy” foods that I know spike my blood sugar. She actually said that I didn’t have the right to choose for myself because she knew what was best for me. I unfriended her. 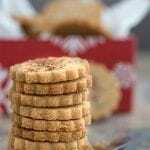 As for the idea that sweets are automatically bad, it seems to me that if I’m using the same ingredients for a sweet dish that I’d use in a savory one, why would it be wrong to make the sweet one? Yeah, there’s more sweetener in it than I’d use in a savory dish, but that’s it. But there are purists out there who think if it’s fun, if it tastes good, if it’s a treat, then, by definition, it must be unhealthy. I say, “Fie on them.” We only pass through this moment once. I’m not going to live the rest of my life without fun food because some Puritanical food moralist thinks I should. Never delete a thread because of a person’s stupidity! Better to block that person and let it end 🙂 Now as for this little carrot cake…just what I was looking for to make for Easter for the diabetics in my family. Thank you for all your recipes and for turning me on to Swerve. Your recipes make my life easier, more enjoyable and I have family members and friends who are amazed at how good the cakes, cookies, pies, etc. taste. I get requests to make them for holidays, birthdays or just for taste of it. We appreciate all you do and you are always upfront with your information. You have made baking and cooking fun again for our family. Thanks and keep it up – I give everyone who asks your website. I want to thank you for all the recipes you develop for your blog and for Swerve. I am not offended (why should I be?) that you get paid for the work you do to bring us free, yes, FREE, recipes. As a matter of fact I think you are quiet blessed to be able to make some money doing something you like and I get to benefit from your work. I am also a fan of your mini desserts and will most likely purchase any cookbook you develop. Thanks again for your recipes and your hard work. I do feel very blessed, Tonnia. Thank you! Carolyn first of all I love every recipe that you post and thank you for posting them for free. Second you always state if the post is sponsored and that the opinion is yours. Third I am glad that you are supporting yourself with this blog doing what you love. It shows. Sounds like someone with more issues based in fantasy than reality. I once made a dumb joke on a FB group thread about Olive oil and some random woman went completely off the plot about it. Apparently she was an “authority” on Olive oil and even after explaining it was a joke, and then explaining what a joke was, she wouldn’t let it go. She actually got much more bizarre so I blocked her and deleted all that I wrote. I love what you do and it’s made a significantly huge improvement in my life and my battle to eat healthy, lose weight and keep my glucose under control. So a great deal of gratitude is sent your way. I love Swerve and go through bags and bags if it. I actually met them at Expo West this year and had my Bob’s Red Mill gear on. We had a mutual admiration society moment and talked about you as a blogger we have in common. Honestly, Carolyn, without your recipes, I couldn’t stick to this way of eating. There will always be the person who wants to wear a hair shirt and “suffer for the cause”. I personally think that’s silly. Thank you for the time and care you put into your recipes and blog. If you weren’t making a living with it, you wouldn’t be doing it and we would all have to live with the lack. Thanks, Carrie. Yes, there are people who will never be happy unless they are suffering! You have described the most authentic and most transparent blogger/brand relationship, one that benefits the brand, the blogger, and the consumer. These are the kinds of partnerships that will stand the test of time…and trust. I love working with brands who truly understand the value of a long and genuine partnership. So much better than the brands that throw money at bloggers with big numbers for a mention or recipe who have no real connection to their product. I love your recipes. I’m sure facebook wonders about all the people that I’ve blocked in the past year but when I have someone start running me down about my opinion, I don’t answer back, I just block them! I have a right to my opinion, also! You do indeed, Sandy. I agree with your opinion! Am also a devoted Swerve user. Do you think they will ever come out with a brown sugar replacement? I emailed them this question but never got an answer. (Also emailed Lily’s about white chocolate chips and never heard from them either). I have been bugging both of those companies for the very same things! Swerve has worked on a brown sugar replacement but apparently the equipment to make it is costly. I am not sure if it’s going to happen but I sure hope so. Not to plug a different brand, because I love Swerve, but Sukrin does have a brown sugar alternative which is wonderful. 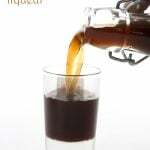 You can also mix a teeny bit of molasses into Swerve and make your own! You and your recipes rock. Don’t let the trolls get you down or make you feel like you need to explain yourself. You are amazing and generous. I appreciate you and your recipes so much. Can’t wait to buy your book. You know, if one looks at low carb/keto as a long term ‘way of eating’ rather than as a short term ‘diet’, which I do, life is going to throw a wide variety of situations our way: holidays, dinners with friends, kids’ parties, pot lucks, house guests, family reunions, ‘we made it though the week’ celebrations, and many more. And if participating in and contributing to these events makes life more full, then what better way than to do so than without derailing your healthy lifestyle? Thank you, Carolyn, for sharing your creative and delicious recipes; the best out there, I believe. I’ve learned a huge amount from you even about adapting some of our old family favorites! Your site is clean and elegant, always straightforward about partnerships. And affiliations are with reputable companies. And if any of us chooses to incorporate a baked good in our way of eating, let it be our own responsibility! In the food processor, grind the pecans to a “meal.” Scrape into large bowl. In the food processor (don’t clean it), make a paste of the dates and orange juice, scrape into the bowl. Add remaining ingredients and mix well. 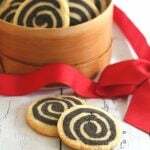 On a piece of wax paper, shape into a flat square cake, or individual cakes (I use 3” rings, form and remove ring). Dehydrate at 115° F for 8 to 12 hours. If you don’t have a dehydrator, place in refrigerator to set. Frost with KREEM CHEEZ FROSTING. Blend all ingredients together with just enough water to make it blend. Place in refrigerator to thicken. Frost cakes just before serving. I have been following since 2011 and I am super grateful for your blog. I am in one FB keto group and very familiar with the “no sweeteners” stance. I get where it’s coming from, but I am totally different. Not overweight, not an emotional eater or sugar addict. Your recipes that you offer completely free of charge have made low carb not just bearable but enjoyable for me. I can’t get Swerve where I live but I use other sweeteners, and I am more than happy to let Swerve pay you for your hard work and talent so that you can keep gifting us your recipes! Love your recipes. Thanks for making them available for FREE, also. I plan to ask for your cookbook for Christmas. Please, keep doing what you do! 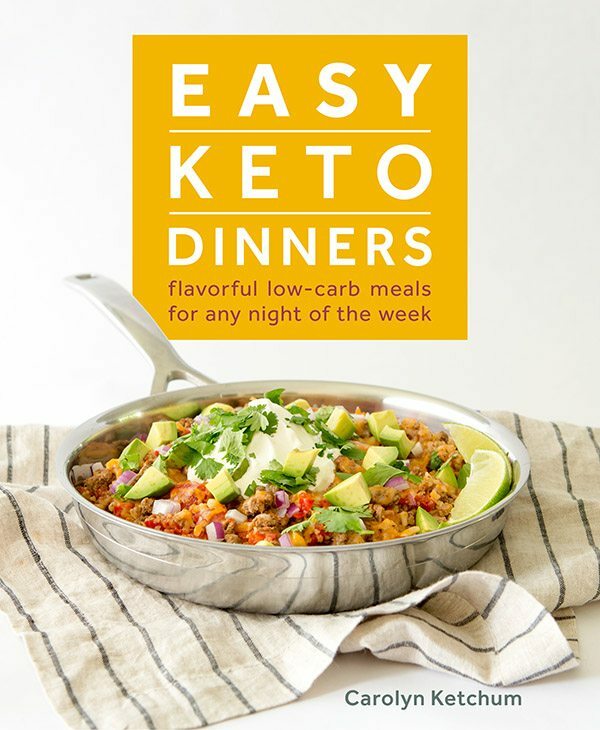 First of all, I have so much appreciation for your blog and your creative artistry in coming up with tasty and gorgeously appealing low carb sugarfree recipes. I tell other diabetics, like myself, and people who are just trying to lower carbs and/or delete sugar from their diet to check out your blog. The fact that your recipes use Swerve is just fine with me since that’s one of my preferred sweeteners as well. I especially like the fact that they offer the confectioner’s blend so that I no longer have to grind up granulated erythritol (I know, so lazy of me). And now that they’ve gone more mainstream and I can get it from some regular grocery stores without having to order it online makes it even better. With regard to your collaboration with Swerve, I hope you’re not “wounded” or taking to heed the inane/insane comments of some off-kilter poser poster. I was actually glad when I found out that you were able to get some remuneration for all the delectable recipes you come up with. Okay, maybe it wasn’t purely altruistic of me because in the back of my mind I was worried that your generosity in providing free and yummy recipes to greedy people like me might eventually cause you to shut down your blog and go to work for some crass commercial enterprise  So if Swerve is paying you for your considerable talents I say YAY for you, YAY for them, and YAY YAY for me! As for the mean-spirited comments from others, it never ceases to amaze me that Facebook and similar forums seem to sometimes bring out the worst in people because they assume relative anonymity gives them the right to spew their toxic thoughts and words as they please to the detriment of others. I say don’t entertain them or feed them with the attention they crave. Once you’ve determined that they are unreasonable and only intent on demeaning and devaluing the contributions and opinions of others, do what you need to do to disregard and block them. This, in turn, will deny them their “platform” and the warped pleasure they get from denigrating others. Meanwhile, KEEP UP THE EXCELLENT WORK! THANKS! Thanks, Pamela. I am actually not wounded at all, nor was I at the time. But what it did do was give me an opportunity to talk to people about why bloggers take on sponsors and what a really good brand/blogger relationship should be like. My relationship with Swerve is probably more the exception than the rule because it’s not very commercial or monetarily driven but it evolved organically out of mutual respect. Echoing what others say about trolls – ignore ’em! Being in Canada, I would not have found Swerve without you, and I don’t think I would have been able to stay on this eating plan without it. I’ve tried the other (sometimes cheaper) alternatives available here, and they just aren’t the same. And your recipes are amazing and I’m so very happy you make something from them in a way that allows me to still benefit from them. I’m glad Swerve is recognizing how key you are to their brand. Thank you for everything you do – you are a lifesaver! PS I have now found Swerve at several locations in Canada – hooray! I am so glad that Swerve has such a Canadian distribution. Helps my sister because she loves it too (in BC). I’m in BC, too, and have found it in Surrey (grocery store listed on Swerve’s site) and here in Kits (Choices). Previously I was ordering on Amazon and having it shipped to Point Roberts, but that was a pain. Hopefully your sister can find it here, too. This is sort of old news (April) but I understand your frustration – it is nearly impossible to come out on the upper hand in a discussion with an idiot – and they are the ones hiding with complete anonymity on the internet. Anyway, love receiving your recipes. There is no shortage of people offering to send recipes out but who has the time to read them all . Besides, think you are a Canadian girl eh? Just a note on Swerve – decided to google sales locations in the Interior BC as I had never seen it in local stores – found that it is available in a health food store here. I guess that is because they are a growing company. Stevia in the Raw seems to be the popular sweetener here – imagine they are very similar but don’t know. Anyway, the Stevia works fine for me – will probably try to pick up the swerve when I am in that neighbourhood. Oh Jeez – wasn’t paying attention – it’s gnu gnus! HaHa! Yep, Canuck here! Swerve has made some pretty good inroads into Canada so that’s good. But glad you like the stevia. Carolyn I’m a 74 yr old woman that’s tried everything to lose weight your receipes have kept me on this low carb plan. I think your blog is fun and the best receipes are easy and excellent there are always haters I’ve learned to ignore them keep up the good work love your site and thanks for the great food!!! Your recipes have fueled a whole lifestyle change for me. While I am not diabetic I have a very reactive response to sugar and other carbs. I am so glad you get some compensation for the wonderful, creative services you provide. I was grateful you connected me to serve, it makes it so easy to eat healthier. Know that you are appreciated. Sweets were the one thing I was really missing on my low carb diet. I discovered your blog and Swerve and found I can eat sweets and still lose weight. 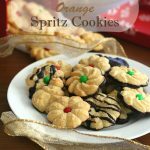 I’m so grateful for your wonderful blog and recipes! I’m so sorry that person was so unkind to you! Haters gonna be haters. 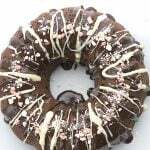 Your website is my go to for making sweets which I don’t make all that often because of time issues and because one recipe of brownies lasts me a long time, but also for all of your other recipes! You rock and swerve rocks! Keep up the great work! I love your blog and your recipes. However swerve is not the sugar replacement I hoped for when I started going low carb. I have found that I don’t like the cooling sensation and the GI upset. Mine is minimal but it really affects my hubby. So bye-bye to swerve! I like Truvia and Truvia baking blends. Lesson learned- try for yourself and use the sweeter that works best for you! I agree absolutely. I get zero cooling sensation or tummy upset from Swerve but everyone has a different palate. I wonder if your palate adjusts. I used to notice a cooling sensation with Swerve, but don’t anymore. That won’t help tummy troubles though! My 3-year-old just climbed on my lap and started chatting it up before I could start reading your post. He saw your picture and asked, “Who’s that mama?” I told him, “Carolyn is a lady who writes yummy recipes. She helped keep you and your brother healthy when you lived in my tummy (because I had gestational diabetes and needed to eat very low carb).” And I’m still following you because I want to keep eating in a way that’s healthy for me so I can be around for them. I’m sorry about that troll- they don’t understand all of the many ways you help all sorts of people. I hope you make good money from this blog, you certainly earn it. I gladly buy all of your books like a crazed fan-maniac. Happy to support! Wow Marv’ I would love to get my AIC below 6. How many carbs did you eat a day to get that spectacular result and how do you exercise? It was easy, mostly because I love to cook. I really don’t exercise regularly, although it would obviously help. I shoot for 15 net grams carbs max per meal (6-hour digestive period) per WheatBelly program. It’s easy when you skip wheat and grain products and eat with a knife and fork instead of your fingers. I can’t find swerve granular only confectioners, can I use Monk Fruit instead? Probably but what brand is it? I am so grateful for all your great recipes. It has kept me on track with maintaining a lchf diet and controlling my type 2 diabetes. I don’t know why people have to be so mean. You do so much good for your followers with healthier recipes and I for one, thank you! Carolyn, there are negative people everywhere and even those like you who help with best intents get slammed. Please keep doing what you are doing. I appreciate all your recipes and tips! They help me so very much. Please keep helping all of us. I bought your Christmas cookie book and made quite a few with my sister. We loved them all. Like most poly-alls-too much Swerve doesn’t agree with me, but your recipes are “right on”. 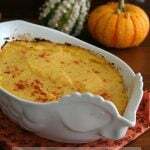 When I read this post I knew I had to get in here and say “ditto” to Christina Smith’s declaration that “you and your recipes rock.” And I’m a tough customer, having been a scratch baker for over 30 years and having cooked for a living. As well as finding most of the blah blah blah on food blogs almost impossible to get through. But you are in a class of your own, at least in my experience. 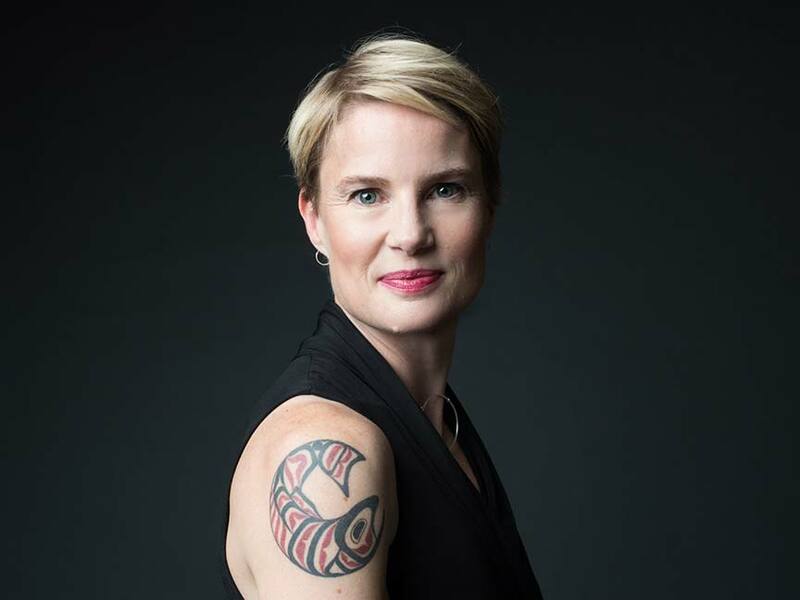 You bring good taste, strong skills, integrity and charm to a profession saturated with folks who are often short on at least one of these traits and often more than one. Last year your baked goods made it possible for my 93-year old mom and me to stop eating wheat and sugar without running out of yummy treats to keep us on track with blood sugar-friendly low carb eating, We’ve lost a combined 45 lbs and are both much healthier. Your site is the first place I look when I need a recipe. I am deeply grateful for what you do and how you do it because it has had a significant impact on my health and my mom’s. 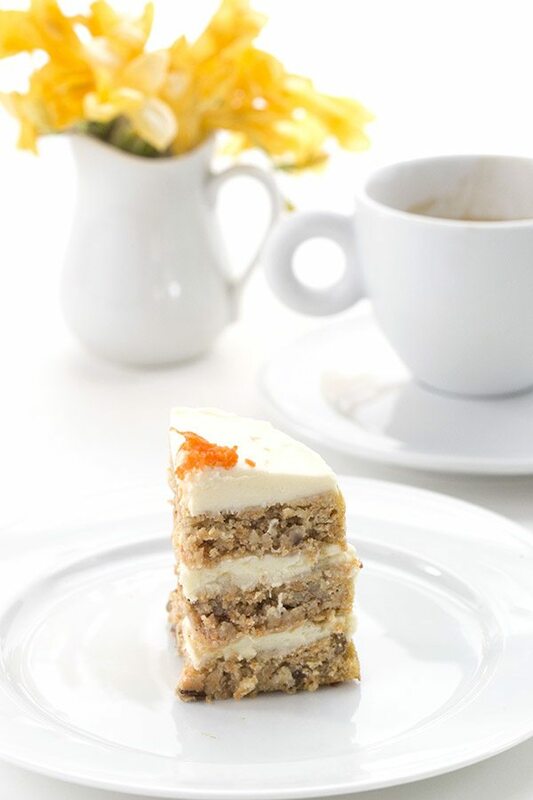 Sending you a big virtual hug of thanks before heading into the kitchen to make your carrot cake for Easter. as far as the facebook person that disputed and argued w/ you……..meh……….just a little “blackhead” on the road of life. Keep on keeping on……….. you do great!! A blessed Easter to you too!! Thank you for your open and honest disclosure Carolyn. I live in Australia and use Natvia wherever I see Swerve listed. Your recipes are out of this world and because of them I don’t view my choices as limited or as if I missing out. I so appreciate all the effort you put in to share your superb creative streak with us all. A win-win doesn’t come close to describing how I feel about stumbling across your blog and recipes. I feel I am the lucky one able to eat such amazing things and know they are a zillion times healthier for my body than traditional recipes. 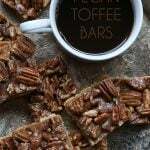 Could I make this recipe in a small wilton layer pan? They’re about 6 inches wide. Or maybe as cupcakes? I would do two layers in the 6 inch pan instead of 3 in the 4 inch ramekins. Should work out great! Wonderful! Congrats on your weight loss. 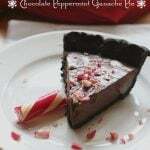 This recipe is fabulous!! I made it for my birthday cake! Even my carb loving family thought it tasted “real”. Of course! it was the only REAL cake in the house! Thanks for another great recipe! I am a mum of a 3 year old who has just been put on a ketogenic diet for medical reasons and will be on it for the rest of her life. I wanted to say a massive thank you because I have been really at a loss in terms of what would be kid friendly and also how to get enough fat into her meals when she really hates double cream! your site has been a massive ray of hope so thank you. I too have seen comments along the lines of ‘if your on low carb you shouldn’t have sweet things’ which has really touched a nerve with me. This diet is used as a medical treatment for so many little ones and for them it not a choice. I really don’t want our little one to ever feel like she’s missing out and sweet treats are such a part of that. thank you for the delicious looking recipes both sweet and savoury! having been very intimated 5 days ago I now feel a little more like I might be able to balance her needs with the needs of the rest of the family. Keep going I look forward to more delicious recipes. I am delighted you have found ways to cook and bake for your daughter. Just to let you know that I made the Mini Carrot Cake to take to my grandson’s 1st birthday celebration today. My husband and I follow Keto and did not want to be tempted with regular birthday cake. 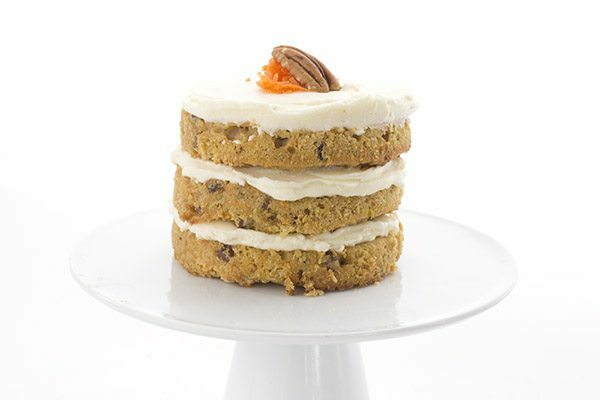 The Mini Carrot Cake was absolutely the most delicious low carb dessert I have ever had! Not only was it so tasty it looked wonderful too! 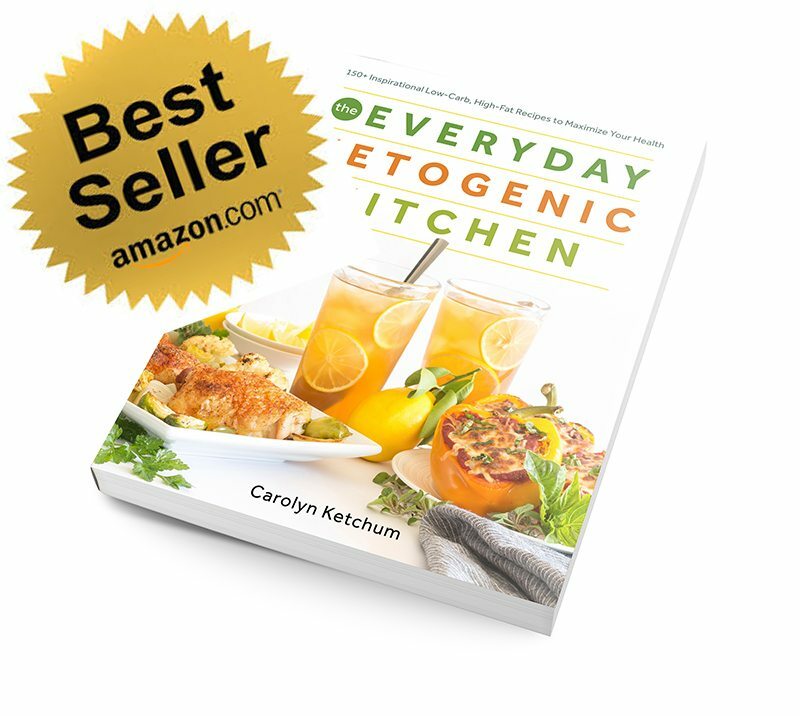 Thanks Carolyn for you amazing recipes and beautiful web site! So glad it hit the spot! Have you ever thought of inserting a link to the full version of the recipes that are minis or the link to a mini version of the full cake recipes? Sometimes you’re cooking for you and your significant other and wouldn’t want a full cake for 1-2 people. But other times its for a function where you need the full sized cake. I was trying to find the full size recipe version of this. Is it the same as the slow cooker carrot cake? Just a thought! I love your recipes! LC people that get on you for sharing sweets need some swerve in their lives….Honestly, if its a way of life, you wouldn’t be making cake every night or indulging, but I for one am so glad to have found your blog so I don’t have to have the “It’s just one day a year” rationalization for me to go off LCHF during the holidays or a birthday/anniversary. I can find delicious indulgences that are also LCHF. I figure I will have enough times where I don’t control the offerings and have to make the best choices based on what is there. That’s what makes this a way of life and modifying our “go to” favorites vs a fad diet to lose weight where you eliminate completely, go off when you hit your goal and eventually gain back. LCHF has helped lose weight in a way that there isn’t a need to ever go back and make it a way of life that has shed pounds along the journey. Carolyn: Do you have a recipe for a regular size carrot cake (9″ X 13″ pan)? Nothing wrong with the mini recipes. Just want to serve others besides myself. I have one for a slow cooker! The link to directly to the recipe on Swerve site seems to be broken. However, it can be reached from the link to your blog entry. Great recipe! 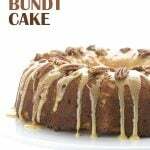 This cake is so good, one of your best recipes. I added some dried cranberries (your recipe) that I rehydrated in rum and drained. Also doubled the icing and covered the whole cake with it. Decadent really. Thanks so much. I really love your mini cakes so much. I think I’m going to make a bunch of them (just the cake part) and freeze. That way I can just pull them out and Frost anytime I feel like it. ? I have a full size slow cooker carrot cake. That’s it. I tripled the recipe and made a single layer in a 9” pan..FABULOUS! Only had to bake it about 28 minutes.Thank you for this awesome recipe! I am so thankful for you and your work. I cheer your success. You have helped so many on their journey to improve their health. WELL DONE!